Hyundai has chosen the Shanghai Auto Show as the venue for the world debut of its all-new ix25 small crossover. Also known as the Creta in other markets, the subcompact SUV adopts a bolder design for its second generation. 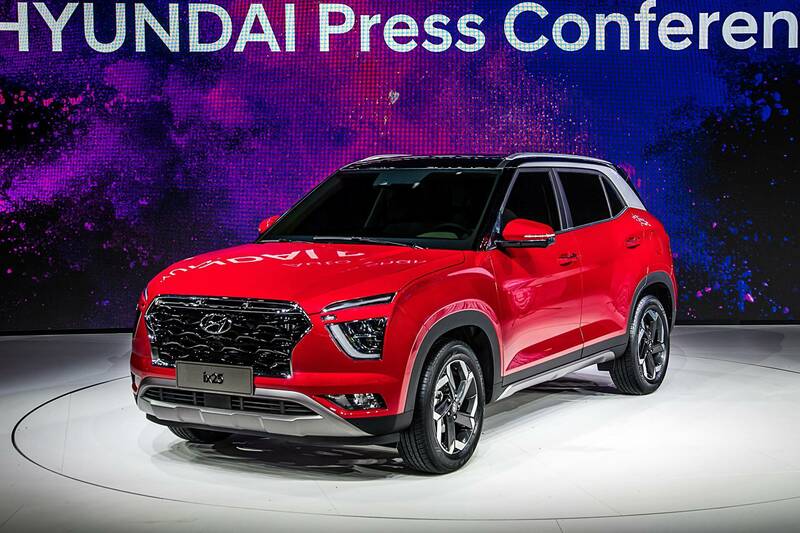 At the front, the all-new ix25 adopts the new corporate grille as seen on the Hyundai Palisade and other recently-launched models. The Kona-inspired, two-piece headlights echoed by the split taillights will probably represent the most common discussion topic for those who see the ix25 for the first time. The rest of the car looks quite conventional. The small crossover also features off-road bits such as the front skid plate and plastic body cladding. It does seem to have decent ground clearance as well. The automaker says the all-new ix25 is perfectly positioned for the Chinese market, but failed to provide additional details. However, reports from Chinese media claim the car is 30 mm (1.18 in) longer, 10 mm (0.39 mm) wider and has a 20 mm (0.78 in) longer wheelbase compared to its predecessor, although its height is reduced by 7 mm (0.27 in) for a more dynamic appearance. The interior adopts a more modern look courtesy of a free-standing touchscreen infotainment unit that effectively replaces the center console. The design of the big display reminds of Tesla models. There’s no information on the engine lineup yet. Alongside the new ix25, Hyundai has also revealed the latest Chinese-spec Sonata at the Shanghai Auto Show.